...and check out the most adorable stamps....you will want them all...! So have a great day...and fingers crossed for some lovely sunshine too...! Hope you are all well....and OMG the rain has not stopped..! It rained all day yesterday...and it's still raining now...It feels like we are in the middle of winter still...lets hope it dries up soon....I have forgotten what the sun looks like...lol...! 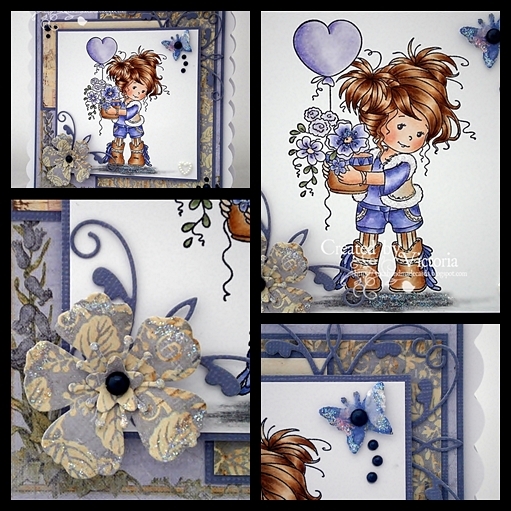 Anyway...onto my card and I have used one of my gorgeous Wee Stamps....and this is sweet Amy..and I so love Sylvia's artwork... 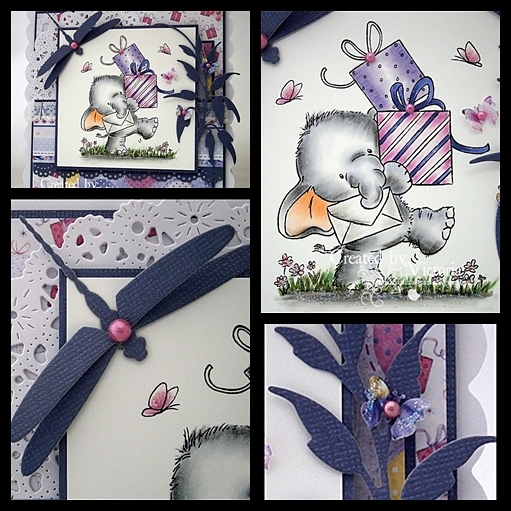 I have teamed this cutie with some lovely Prima papers, a couple of Memory Box dies and of course some butterflies...it would be rude not too...lol...! So have a lovely day...and Ooh wasn't The Voice good ! !...really loved Jaz....and OMG... Ruth was amazing too....but wasn't keen on Sam...or was it the song?? Flourish ~ Spellbinders " Floral Flourish"
So that's all from me today....off now to have a play...and then The Voice and BGT...Ooh I so love Saturday Night TV....LOL....! Hope you are all well...and yippee....it's nearly the weekend..! Rolled Flower ~ Memory box "Small Pinwheel"
So that's all from me today...another long shift...then Teresa is popping round tonight to do some colouring...and to show me some hints and tips on my new Copics...! Oh and before I dash off...over at Funk Kits there is a special offer.. This runs till midnight Sunday.....! 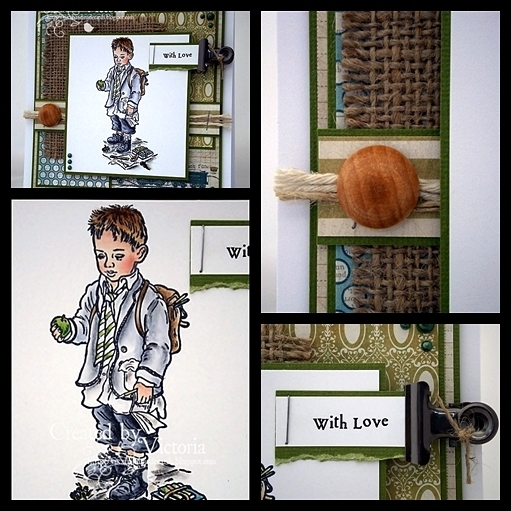 So onto my card...and I have used another one of my gorgeous Paintbox Poppets stamps...and I really love the boy images...! I have teamed this sweetie with some lovely MME papers...hessian I got from Ally Pally..a wee button I found in my sash...and a bulldog clip too..
Well the show last night was just fabulous...the dancing was truly amazing and I just loved it..! So that's all from me today...at work all day...so I will catch ya all laters..
have a lovely day...and lets hope it's dry...! 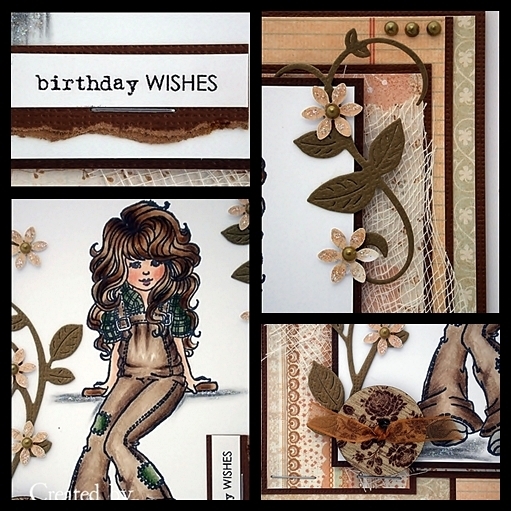 So onto my card...and I have used a gorgeous stamp from Whiff of Joy. 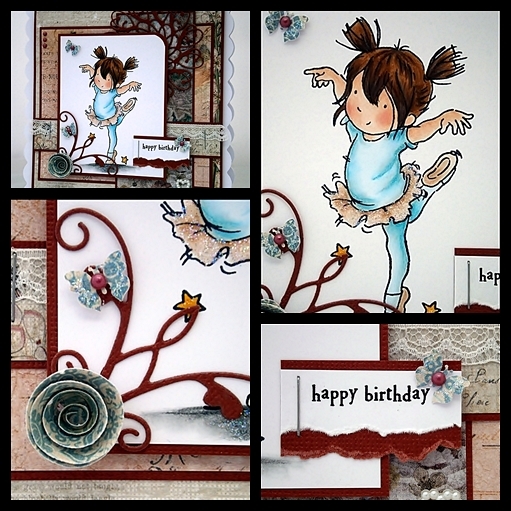 Over at My Crafty Heart.....Teresa has got some more gorgeous new stock in...including WOJ Stamps & Dies, Echo Park Paper pads, more Memory Box dies, beautiful Prima flowers...and much, much more...so do pop over and have a looksy..! 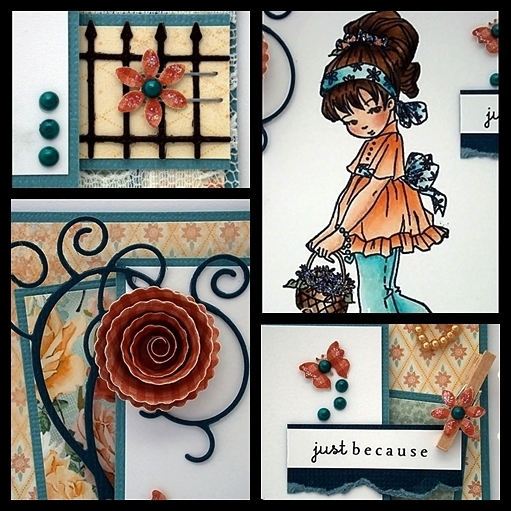 Papers ~ MME "Howdy Doody"
Fence ~ Memory Box "Wrought Iron Fence"
Swirl ~ Memory Box "Elegant Scrollwork"
Rolled Flower ~ Memory Box "Scalloped Posie"
So if I don't catch up with you all laters...hope you all have a great day..and I'll see ya all tomorrow.. So onto my card...and I have used another of my un-inked stamps (I'm so ashamed to say the pile isn't going down still...note to myself...NO MORE STAMPS...well not this week anyway...hehehe..) and this one is from Sugar Nellie's "Country Cousins" range which was released back in November...and I had forgotten all about her..tut tut..! So that's all from me today...another long shift...but then it's my day off....my fave day of the week..! So have a great day....and I'll catch ya all laters..
Hope you are all well today...and blimey doesn't the weekend go far to quickly..! I so loved The Voice again last night....roll on the live shows...woohoooo..! 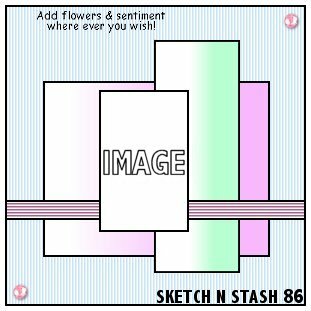 So onto my card...This fortnight over at Sketch n Stash the lovely and talented Doreen has made our fabulous sketch...and here it is..
and here is my wee creation...hope you likey..lol.. Rolled Flower ~ Memory box "Pinwheel"
So do pop over to SnS..See my teamies gorgeous creations...and join in...we would love to see yours too.. So that's all from me today...at work all day...so I will catch up with you all laters..
hope you all have a lovely day.. Wow...I'm so excited..and very surprised too..so a big thank you to Matt, Dulcie and the team for picking me...and the lovely and talented Kate too...and I cannot wait to get started.....! So that's all from me...off to get ready to watch The Voice...and I so love Will...! 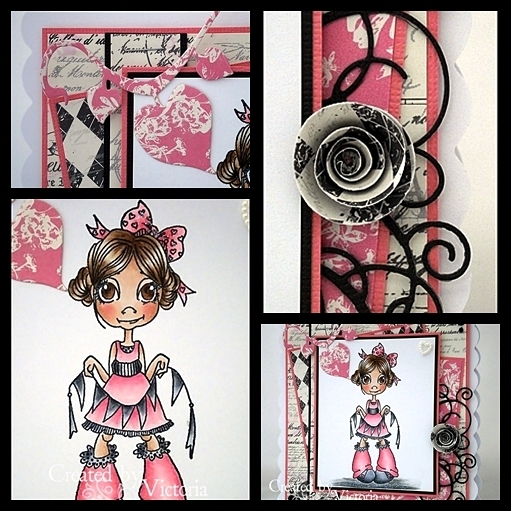 Papers ~ Wild Rose Studio "Bella"
hope you all have a lovely day...and I'll catch ya laters..